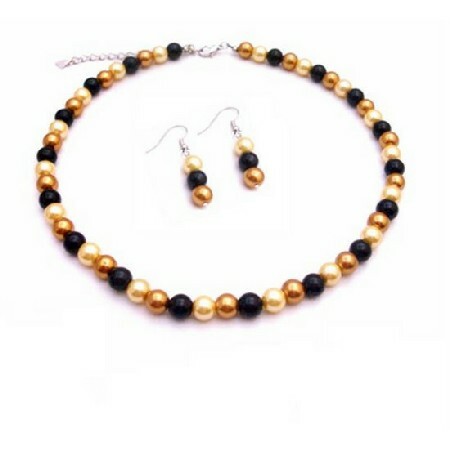 You are looking at a beautiful necklace set combo of trio colors Butter yellow black & golden pearls Necklace Set Jewelry with 3 pearls dangling Earrings set adorned with match with your Dress fascinate colors in pearls. Wedding Prom BridesmaidParty Jewelry Absolutely Affordable BridesmaidBridal & Flower Girl Jewelry. This delicate yet elegant set that work magic as they delight the senses! A party on your Neck & ear lobes. festive.